If you are looking to get new carpet installed in Harrison Township, you have found the perfect company to do it. Here at The Carpet Guys, we provide our customers with the absolute best flooring services in Harrison Township. Whatever work you need done on your floors, we can handle them. Whatever your flooring needs may be, there is no reason to look anywhere else. 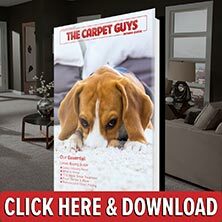 Get everything you need from The Carpet Guys. With all of the people that support us and continue to do so, customers can rest assured that they truly are getting flooring services from the best company in the business. If you are ready to get new flooring installed in your home, contact us right away! We are standing by, ready to provide with the flooring you desire. Just take a few moments to fill out a free in-home estimate on our website or call in to set one up over the phone. We look forward to working with you!